Updated 1-Bed mid-century modern Condo in fantastic location. Wood floors, granite, stainless steel appliances, bright, open floor plan with large balcony. Reserved parking space & 2 storage locations. 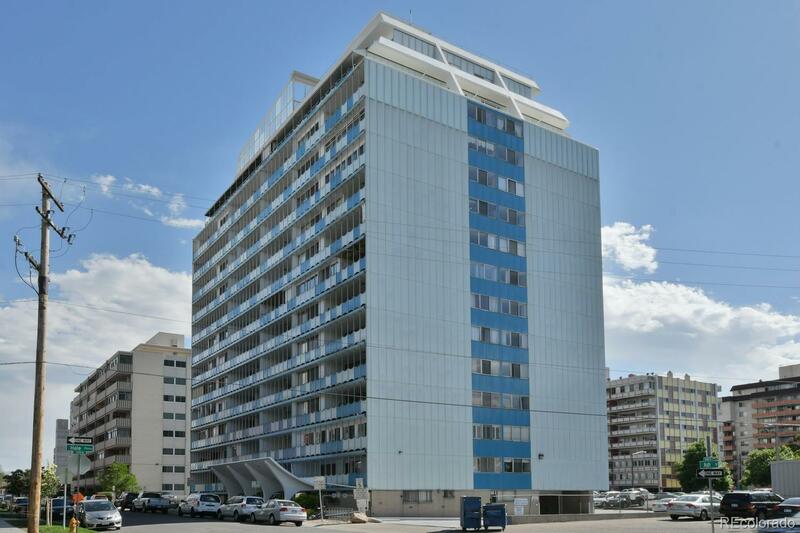 Secure building has lots of amenities including on-site management, roof-top terrace with wrap-around views, refreshing pool (currently under renovation), party room, library and fitness room. Great investment opportunity. Only one block away from the new development on 9th and Colorado, 9thandcolorado.com, and close to Snooze and Trader Joe's.